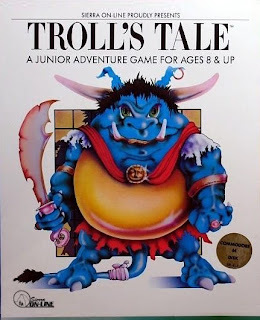 Troll's Tale was a children's adventure game, which was designed by Leisure Suit Larry creator Al Lowe. Because it was aimed at children, the interface is simpler. Actions are chosen from a list, rather than typed, so even young children can play without help. 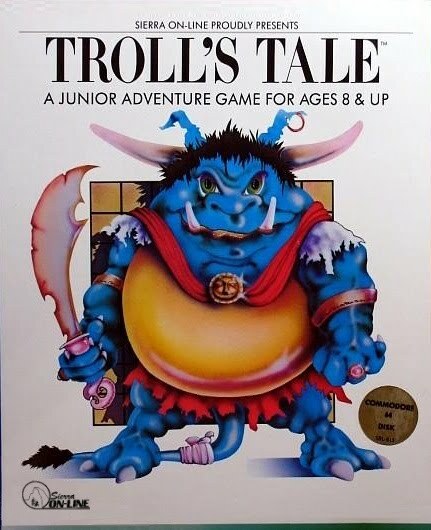 The goal is to find all of the 15 treasures stolen by an evil troll. Troll's Tale is now supported by ScummVM, a program designed to let 2D adventure games run on multiple platforms. With ScummVM, Troll's Tale now runs on modern versions of windows, as well as Linux, Mac OS X, and many consoles such as Dreamcast, Wii, PlayStation 2, and PlayStation Portable. For a complete list of platforms supported by ScummVM, see here.